Us Review | Nerd Much? I was left stunned walking out of the theater last night. As someone who watches and reviews a lot of new horror movies, it’s rare that one ever sticks with me. Yet, hours after seeing writer/director Jordan Peele’s latest venture, I am still thinking about Us. It’s the rare type of film that makes you want to instantly rewatch it as soon as the credits roll. 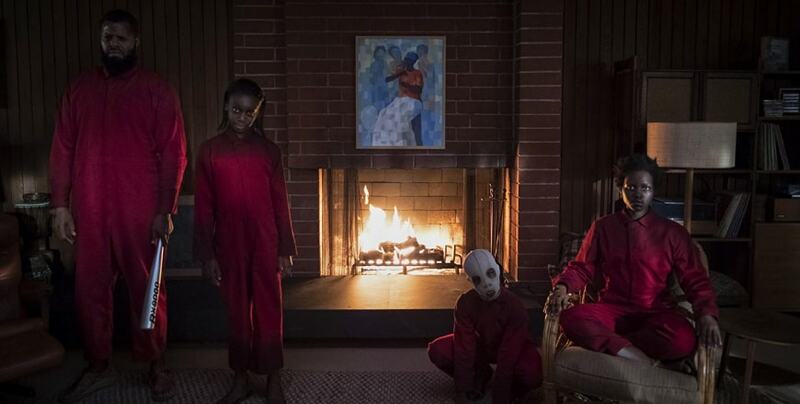 Peele has tapped into something visceral, raw, and terrifyingly captivating. You’re watching the most magnificent car crash of all time, eyes glued to the carnage in fear of missing out on something. Peele’s sophomore film, Us follows the story of a middle-class family enjoying a vacation in Santa Cruz, California. Lupita Nyong’o plays the family matriarch Adelaide who is overly protective of her children due to a traumatic incident when she was a child. Winston Duke is dorky dad Gabe who provides most of the film’s comic relief. Shahadi Wright Joseph is teenager Zora and Evan Alex is her younger brother, Jason. Their vacation goes awry when a mysterious family shows up at their house that looks exactly like them – all played by their respective actors/actresses. The doppelgangers begin to terrorize, hurt, and harass the family, forcing them on the run in an attempt to survive. Sadly, that’s as much as we can tell you about the plot without devolving into all kinds of spoilers. The beauty of Us is how deliciously complex and nuanced its story is. 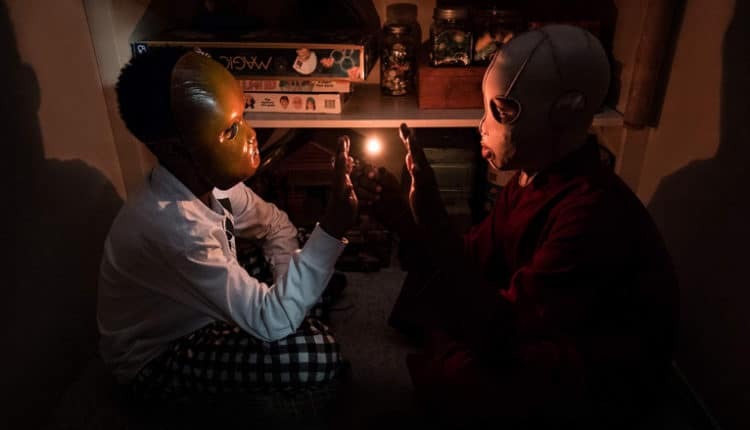 Despite having a fairly straightforward framework, Peele masterfully bends the plot in unique directions that will keep you invested during the nearly 2-hour runtime. Even if you seem some of the big story moments coming, Us’ confidence absolutely sells every crucial moment. Where lesser films would have buckled, Peele’s storytelling skills helps keep every moment of Us fresh. Just when you think you’ve gotten a handle on where Us is going, the movie takes a wild left turn and takes viewers in a different direction. This is a risky gambit, as such radical shifts could threaten to throw the entire movie’s plot off-balance. Yet, Us manages to stay on the tracks and roar full steam ahead. While I was worried about an overabundance of comedy at first, Peele restrains himself and delivers just enough jokes to keep certain moments lighthearted. However, when it wants to be, Us is utterly vicious and terrifying. You won’t find a ton of jump-scares here, as Us focuses more on tension and unease. This factors into the violence, which slowly ratchets up as the movie progresses. Peele never goes for broke with the gore, but he shows us just enough to make audiences squirm in their seats. Us’ real terror comes from the core family’s different performances for the doppelgangers. They’re just “off” enough to make their movements and vocal performances deeply unsettling. Lupita Nyong’o nails this and delivers an Oscar-worthy performance across both roles. The two versions of Adelaide are stark contrasts to one another, yet Nyong’o keeps them grounded enough so they don’t devolve into caricatures. From her mannerisms to the way the evil Adelaide talks, Nyong’o manages to flesh out this antagonist with only a minimal backstory. The same can be said for the rest of the family, who do a terrific job at portraying their respective villainous versions. These aren’t just opposites of whatever their character is supposed to be. Each one feels shockingly unique, giving more weight to the terror and violent acts they commit. Yet, there is always a glimpse of humanity behind them that’s snuffed out by their insanity. By the end of the film, you’ll be questioning both the doppelgangers and family’s choices. 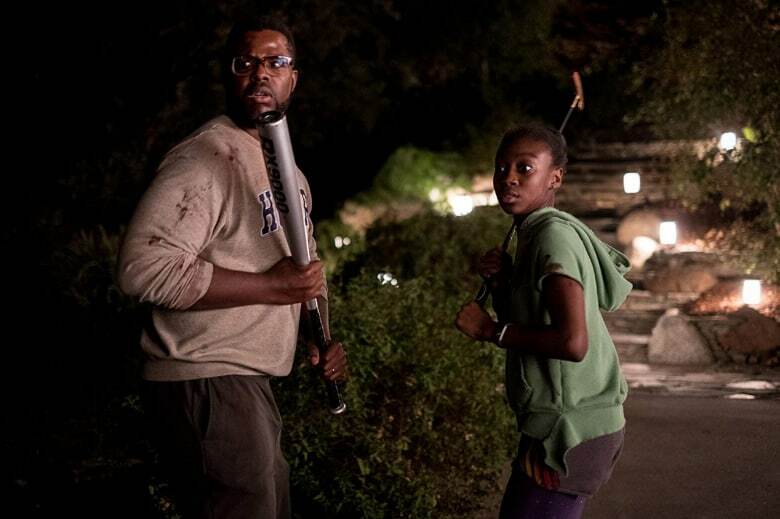 Peele takes his characters in some bold directions, with Nyong’o’s Adelaide receiving the brunt of the character development. Where given a lot of time to really understand who she is, which makes the final moments of the film such an emotional gut punch. Us feels like a feature-length, high budget Twilight Zone episode. We’re dropped into this world and every minute Peele slowly unravels our expectations. Even though movies like Hereditary focus more on delivering sheer terror, Us wants to make its audience question everything about the film. It’s rare that a horror film so boldly challenges our assumptions about its characters, but Us stands its ground until the credits roll. There’s something hauntingly beautiful about Us. It’s a movie about duality, but there’s so much more hidden away. Us is the rare type of horror/thriller that feels wholly unique and masterfully keeps audiences on its toes. As the years go by, Us will become a defining film in the horror genre. Even if you’re not a fan of scary films, I cannot stress enough just how incredible this movie is.